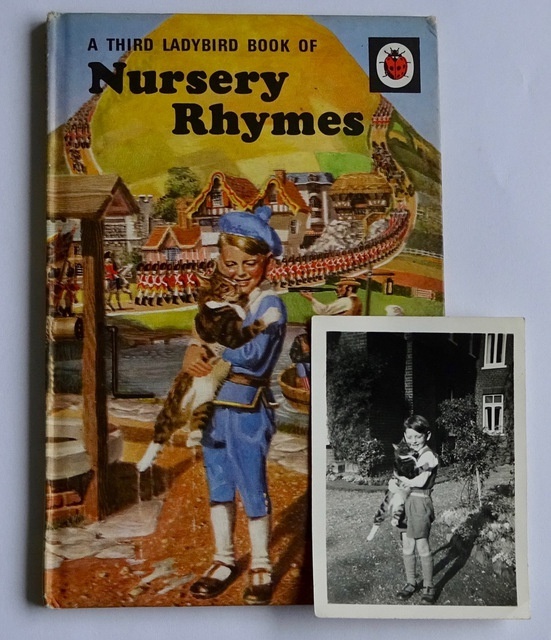 A ladybird books fan asked Helen Day of the website Ladybird Fly Away Home whether the cat featured in several of my father's Ladybird books was actually our cat. I confirmed that it was indeed our cat, named Digby after Dan Dare's batman. I also found this photograph of Digby and myself, aged about six, in the garden of Bruce Lodge in Epsom.The photo was taken around 1953 and obviously came in handy in 1967 when my father was illustrating this book of nursery rhymes.